One Owner Excellent Service History! 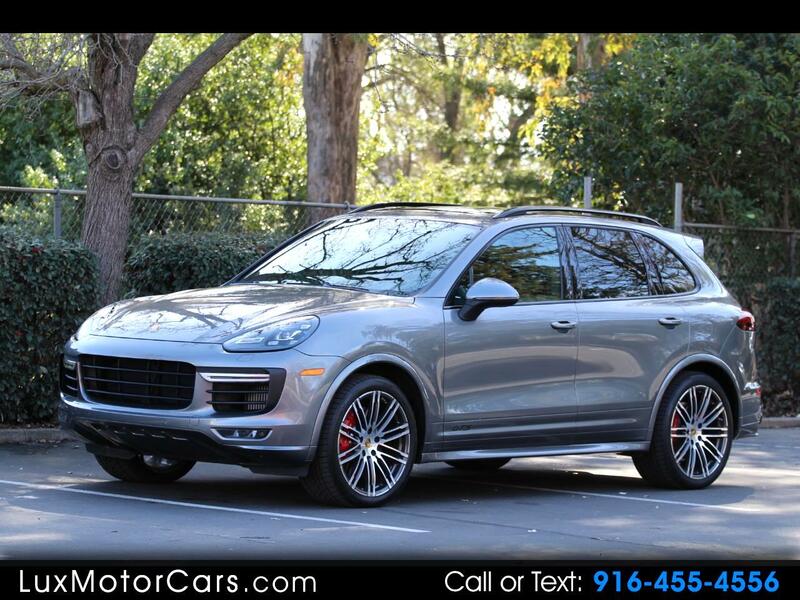 This absolutely pristine, 1-owner 2016 Porsche Cayenne GTS comes offered for sale in Meteor Grey Metallic over a Black Leather and Alcantara interior and has been very well equipped from the factory with options including: GTS Package, Trailer Hitch, Roof Rails, Park Assist with Front and Rear View Camera, Lane Change Assist, Meteor Grey Metallic Paint, Bose Surround Sound System, 14 Way Power Seats with Memory, Premium Package Plus, Infotainment Package w/ HD Radio, 21’’ 911 Turbo Design Wheels, and Alcantara interior. It’s had a great history since new, the only owner used it to commute back and forth from Monterey to Tahoe so they put a lot of freeway miles on it. The service history during that time is as good as it gets, they always took it back to their local Porsche dealer for regular maintenance. Just before being offered for sale it had a fresh service that included new brake rotors, brake pads, and an oil change. There's nothing about its condition that will disappoint even the pickiest buyer.